It was July 2006. I collapsed in my chair at the Embarcadero Center Theater, mind and body overwhelmed, and completely terrified. Where normally the credits would roll at the end of a film, instead a list of “Never fear, What To Do’s” filled the screen. The film was Al Gore’s An Inconvenient Truth. The list was the first of many such lists that I would see and put on the shelf. I felt the tension ease as I read, slowly relaxing enough to begin to absorb what the words were directing me to do. The movie subsequently inspired volumes of lists, books, and calendars of daily actions, which people initially consumed voraciously. These urgent calls to action, prescribing behavior changes critical to combating Global Warming were published and illustrated with breathtaking photographs of the wonders of nature and heartbreaking photographs of our planet in peril. My mind raced on that July night as we drove home from San Francisco. What needed to be done seemed so tangible and so achievable. I expected to see the townsfolk of Fairfax out in the street, ready to make the changes the list instructed us to make in order to sustain our ability to live on this earth. But where was the Town Crier in the Parkade calling us to take action? After seeing Al Gore’s crystal clear depiction of climate science and gripping teaching of the facts underlying human contribution to the massive acceleration of the planet’s warming, it seemed impossible that we were not responding as if our lives depended on it. As a mother of a 5 and 8 year old I saw no other choice but to mobilize. Certainly other parents of young children would be equally desperate to join together. I put a homemade banner in the window of The Fairfax Scoop announcing a call to action and community gathering at the Tree Park at the bottom of Cascade Drive. I called the meeting at dinner time the next day knowing that the time was most likely inconvenient for young families. We would gauge people’s sense of urgency by whether they showed up, choosing to prioritize human existence over serving dinner on time. 50 + adults answered the call and brought their children. 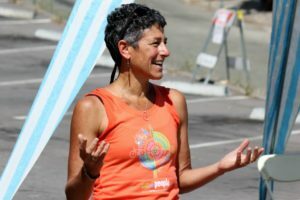 People participated enthusiastically, expressing a collective relief to find others who were ready to combine their individual efforts and knowledge into a larger local movement of people to make a bigger impact impact. We discovered that we all had lists tacked to our walls, but the number of things that we were told we “SHOULD” have been doing was weighing us down and draining our energy to act. Our collective was a renewable source of energy and we all tapped in. We became known as The Inconvenient Group, and we gathered weekly. We made new lists and distilled the larger actions into bite sized pieces. We committed to making homemade yogurt in order to avoid purchasing plastic containers. We learned basic biking skills to encourage biking as a viable means of transportation. We held a screening of “Synthetic Seas”, a film about the Pacific Gyre garbage patch, and learned how plastics are suffocating our oceans. We supported one another’s desire to make lifestyle changes that would decrease our individual generation of greenhouse gas emissions and slow the rate at which our planet is warming. We were discovering distressing truths but were motivated to work for solutions. Organizations began to seek us out. A group of energetic action- oriented people is a gold mine for a non-profit organization. I received a call from Pam Hartwell, who was at the time the Executive Director of Sustainable Fairfax. 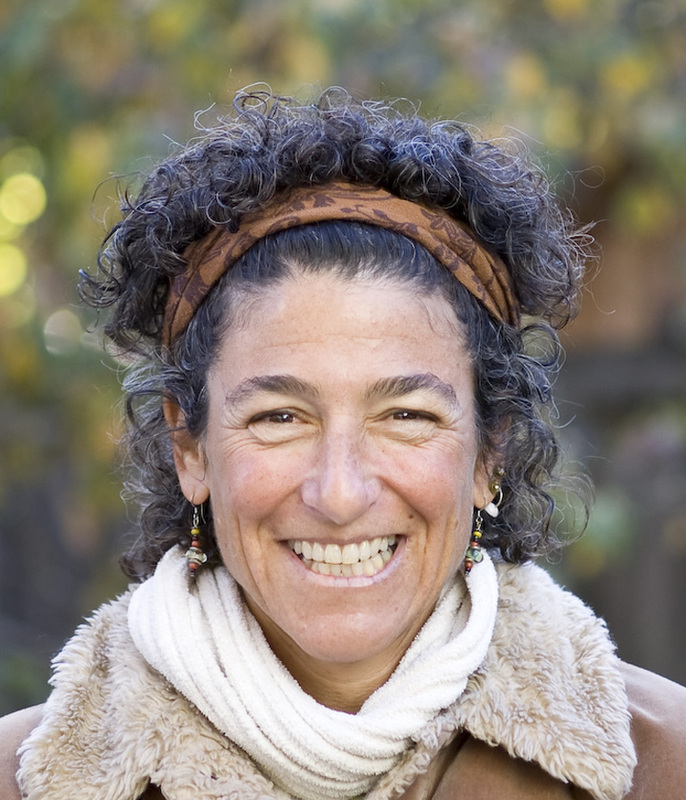 She came and spoke to our group and described the community actions already in progress, as well as the history of the organization whose founder was a key player in the inception of Marin County’s Community Choice Aggregate (Marin Clean Energy). She made very clear the efficacy of combining resources. With a little courting and a lot of coaxing we joined Sustainable Fairfax. 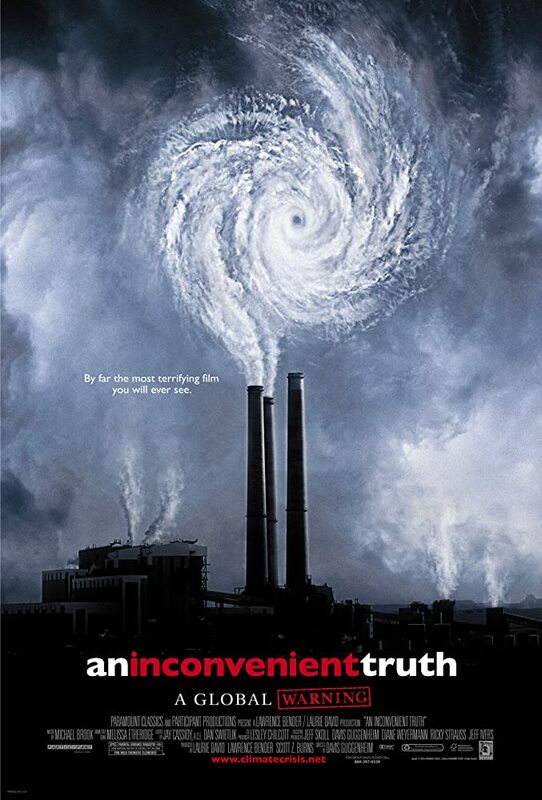 It has been 12 years since An Inconvenient Truth took the world by storm. Over the course of these 12 years, Earth’s atmosphere has exceeded over 400 parts per million of CO2 warming gases in the atmosphere and the climate is increasingly chaotic, threatening humanity’s ability to survive on our planetary home. The threat is more pressing than ever, and our message all the more urgent. Sustainable Fairfax has been and continues to be the Town Crier, the spring board for community action, the hub, the home and the hope.